Fort Lauderdale isn’t necessarily one of the first places that springs to mind when people are thinking about vacationing in cities that show concern for the planet. But they would be mistaken. From our turtle-hatching initiatives to our waterways clean-ups, Fort Lauderdale is often at the forefront of planet-friendly activities. 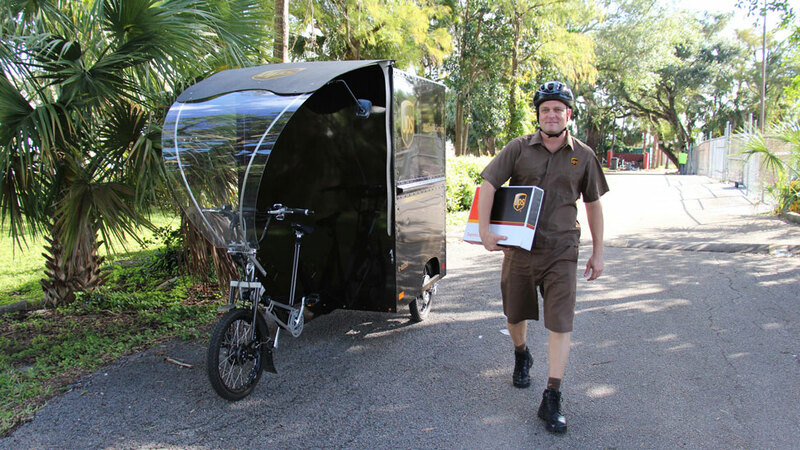 This was shown yet again in December 2017 when the city joined worldwide couriers UPS to use delivery bikes for local parcel post that are power-assisted by electricity rather than fossil fuels. In the Las Olas Boulevard area of Fort Lauderdale, these adapted tricycles deliver to businesses and residential areas using a cleaner, non-polluting power source. Looking rather like a Jules Verne version of the automatic rickshaw, these vehicles have plenty of space for goods and the driver (should it be rider?) is protected from the strong South Florida sun. This initiative is part of Vision Zero – that prioritises safe and planet-friendly streets for all.